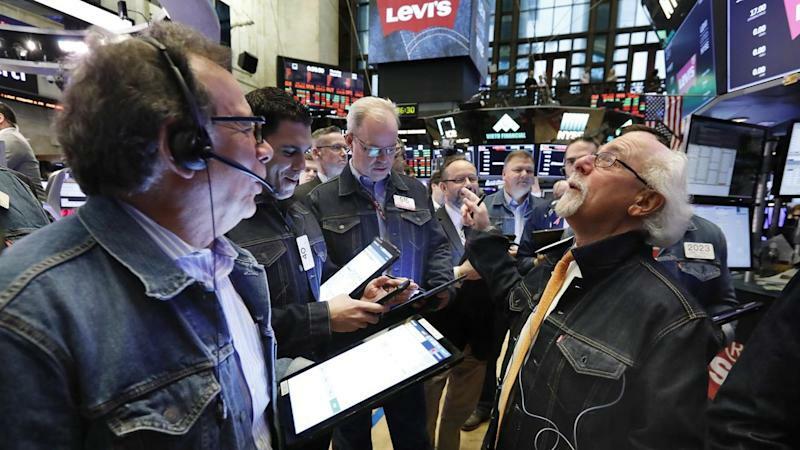 Levi Strauss & Co.'s return to the stock market got an enthusiastic reception from investors who believe the iconic brand is ready for a comeback and has a lot more room to grow. As of Thursday's close, shares popped nearly 32 per cent, closing at $US22.41 per share. That gave Levi's a market value of $US8.64 billion, according to FactSet. On Wednesday, the NYSE even Tweeted, "Tomorrow we'll be in our 501s." By the 1920s, Levi's original 501 jeans had become top-selling men's workpants, according to its corporate website. Levi's previously went public in 1971, but Strauss' descendants, the Haas family, took it private again in 1985. "I would like to say we're the original Silicon Valley startup," said Bergh, dressed in 501 jeans and a denim jacket, during an interview with The Associated Press at the New York Stock Exchange on Thursday.